Coming into the week, Clemson was 4-0 and ranked No. 3 in The Associated Press national football poll. The Tigers have been rolling, benefiting from a two-quarterback system that had led their offense with spectacular efficiency. The Tigers are averaging 504.8 yards and 40.8 points. Really, there was no reason to believe they wouldn’t contend for another spot in the BCS playoffs. Everything appeared cool, on track, cruise-controlled. But now there is a hullabaloo. 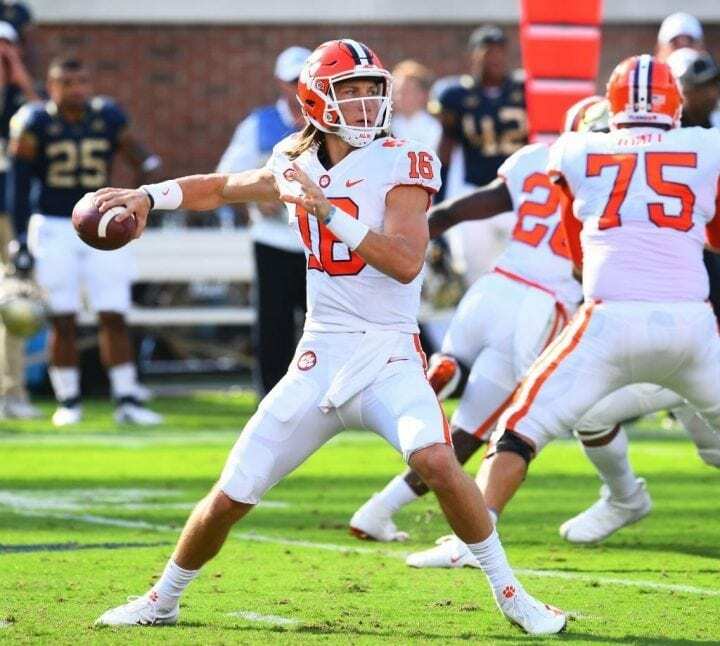 Tigers coach Dabo Sweeney has decided to replace senior incumbent quarterback Kelly Bryant, who was 16-2 in last 18 starts, with Trevor Lawrence, generally considered one of the top three freshmen to in the game this season. Bryant had been Clemson’s guy since Deshaun Watson left for the NFL after the 2016 season. 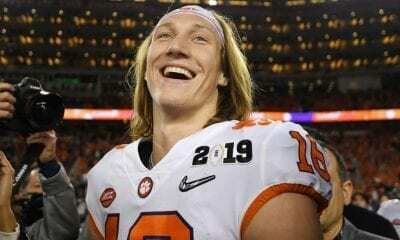 And in order to do that, he beat out two other top quarterback prospects, Hunter Johnson and Zerrick Cooper, who both left the program after backing up Bryant in 2017. Johnson left for Northwestern. Cooper will play for Jacksonville State. 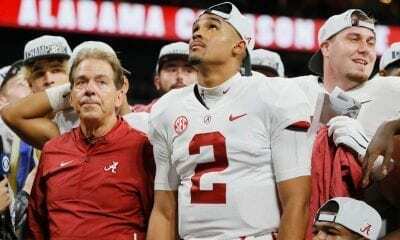 But instead of accepting the decision, like Jaylen Hurts did at Alabama when Nick Saban gave Tua Tagovailoa the job, Bryant has decided to leave. 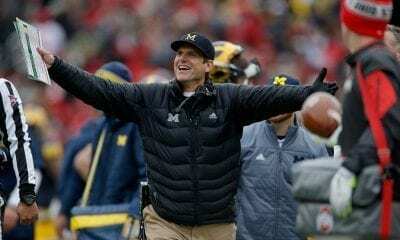 And remember this: Hurts had already led his program to a national championship. As first reported by The Greenville (S.C.) News, Bryant told Sweeney he was done after what the newspaper said was an emotional meeting that led to Bryant skipping practice on Monday and Tuesday. “They asked me how I felt about it,” Bryant told The News about his meeting. “I was like, ‘I’m not discrediting Trevor. He’s doing everything asked of him, but on my side of it, I feel like I haven’t done anything to not be the starter. I’ve been here. I’ve waited my turn. I’ve done everything y’all have asked me to do, plus more. And now all of a sudden, Saturday’s game against Syracuse promises to get substantially more national attention than the Orange’s win over UConn last week. Until this season, Bryant’s judgement wound be tantamount to ending his career. But a new redshirt rule was instituted allowing a player to participate in as many as four games without forfeiting his year of eligibility. So Bryant’s decision was very time-sensitive. On the ACC’s weekly coaches teleconference. Sweeney said he never misled Bryant about how he felt about the quarterback position. And to be fair to Sweeney, not a week has gone by since the start of training camp, especially after Lawrence appeared to outplay Bryant in the program’s spring game, without someone asking when Lawrence would be promoted. “He [Bryant] won the job and he was the starter for us last year and did a great job,” Sweeney said. “And he came out of camp slightly ahead and so he continued to start these first four games. I definitely feel he’s been given a fair shot. But at the end of the day, this is not middle school. There’s tough decisions that have to be made at this level, and you have to do what’s best for the team. Lawrence, who is 6-feet-6 and 215 pounds, was ranked the No. 2 player in high school last season by ESPN. He had split time with Bryant in the first three games, passing for 600 yards with nine touchdowns and only two interceptions. He was a four-year starter at Cartersville (Ga.) High and finished his career 52-2, passing for 13,908 yards and 161 TDs, breaking state records that had been held by Watson. Bryant had thrown for 461 yards, two TDS and one interception with 130 rushing yards and two TDs. New Team In Tiebreaker’s Top 5? That’s OK.